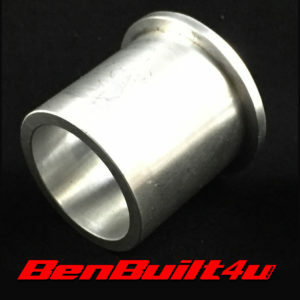 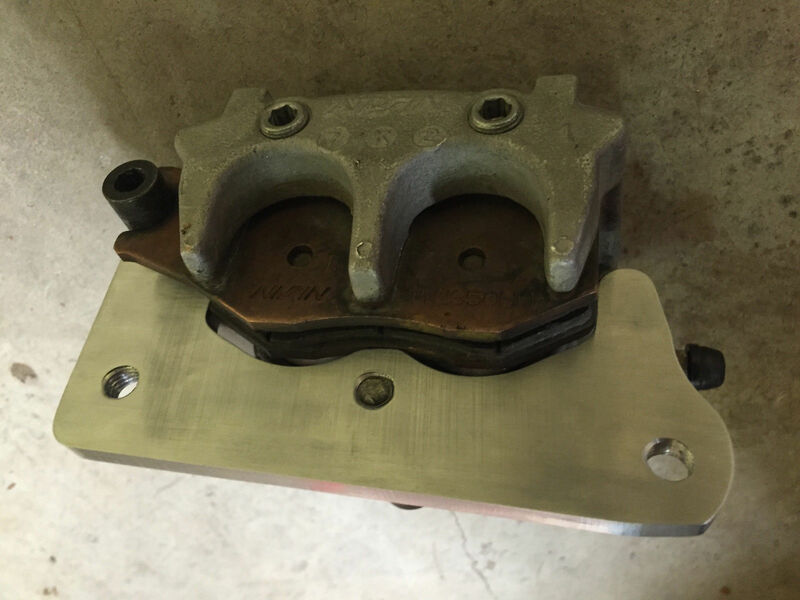 This is a custom made CNC billet rear brake caliper conversion bracket. 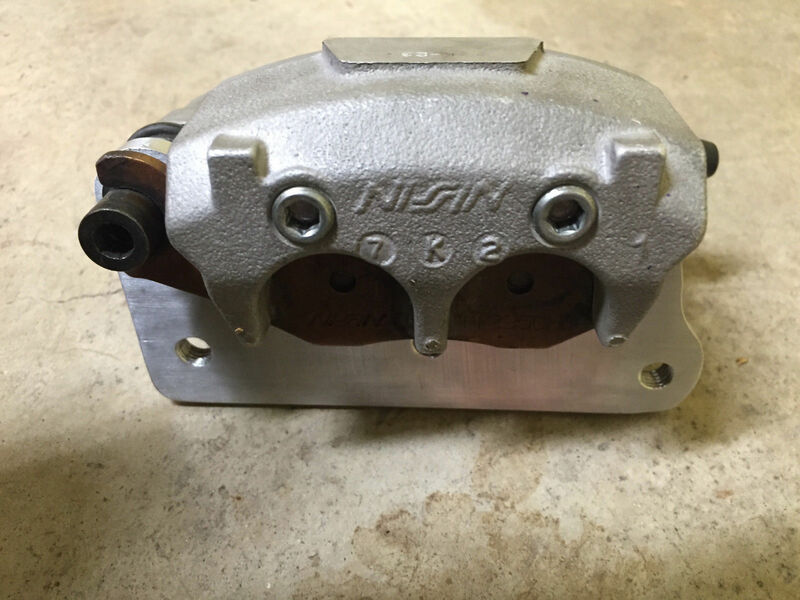 It converts the rear caliper from the stock single piston to a yfz450 twin piston front left caliper. 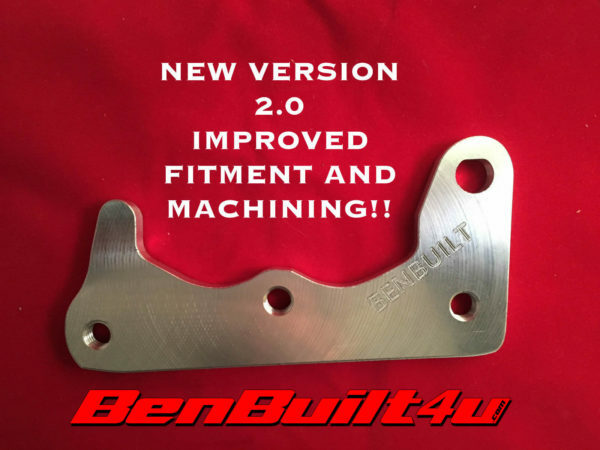 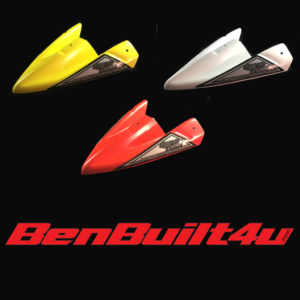 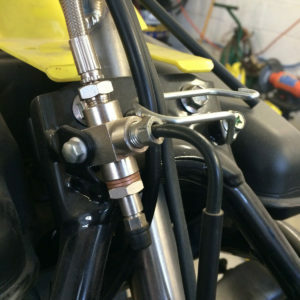 BenBuilt4u rear caliper conversion bracket for the LTR450 this uses a 2004 – 2009 Front left caliper off a yfz450 (sold separately) no modifications to the atv need to be made! 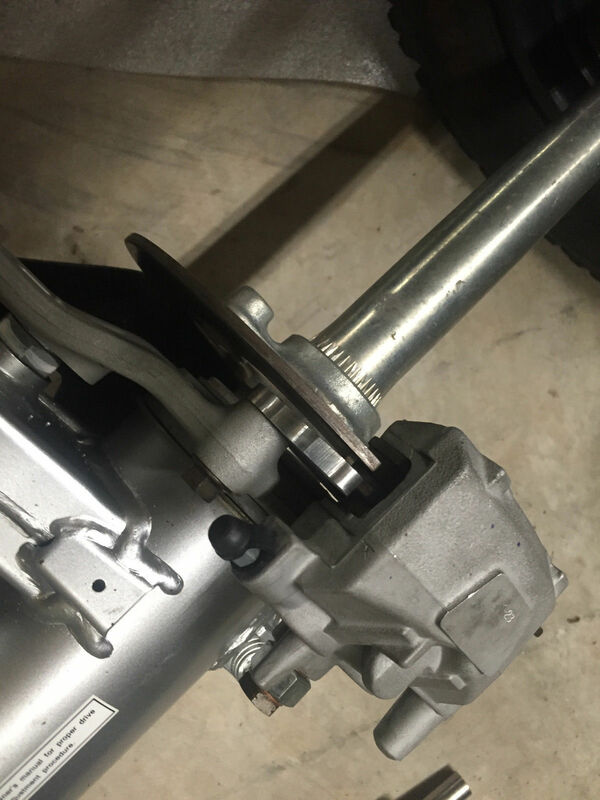 Just put yfz caliper on my bracket bolt on and enjoy more braking power, longer lasting pad life, not to mention its looks really clean!! 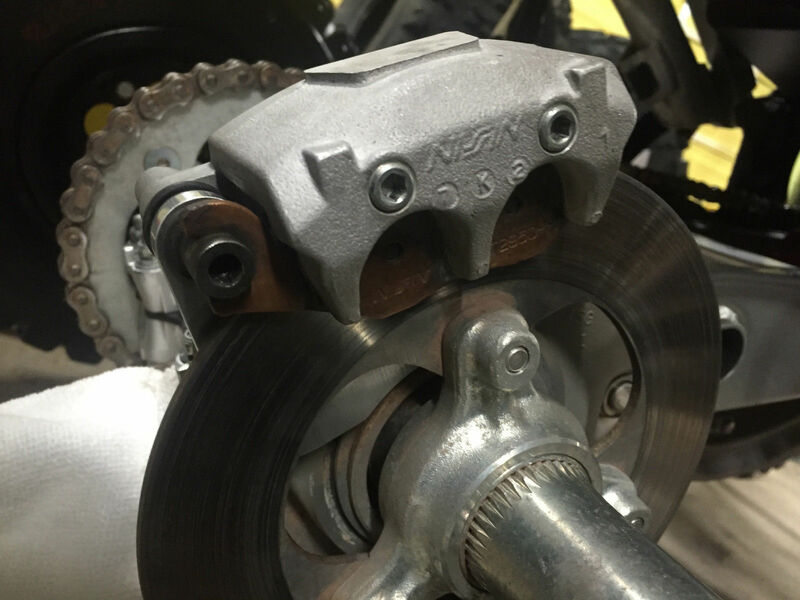 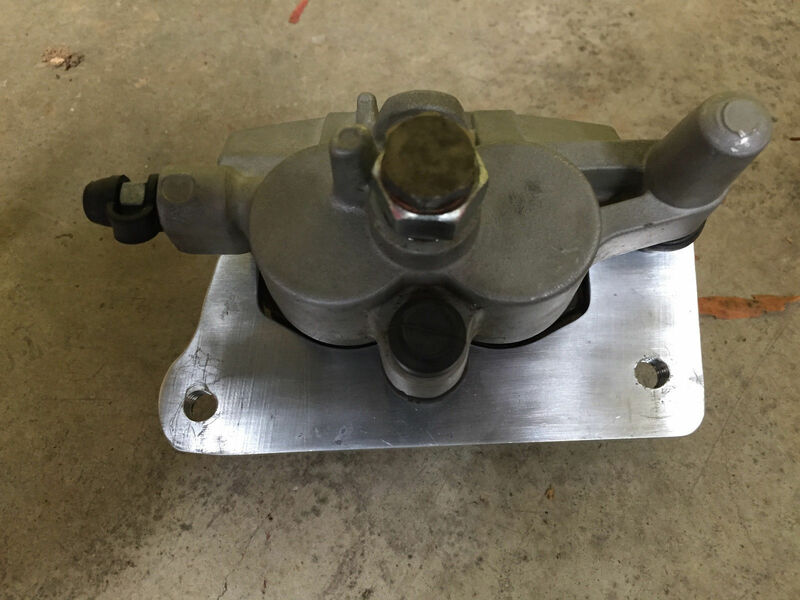 yfz450 caliper uses stock ltr450 front left pads. 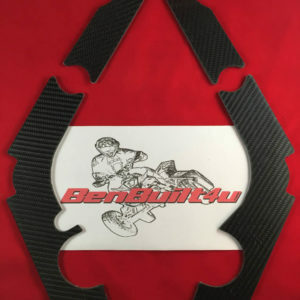 so pads are easy to get and remember this works with OEM caliper bracket or aftermarket including blingstar rotor guard.